To be eligible for the contest, you must tweet the photo, including the WTM Africa twitter account (@WTM_Africa) and the hashtag #WTMAfricaDream in the tweet. Take the photo/photo's during your visit to WTM Africa on the 15th of April. The top 10 winners will be chosen and announced at the Bloggers Networking session at 12h30 on Thursday the 16th of April, being held in the Press Conference theatre. Prizes compliments of CAPE Adventure Safari range from 2 night stays for 2 at the Inkwenkwezi Game Reserve, AfriCanyon Kloofing, canyoning and abseiling, Bungy jumps and Canopy Tours, just to name a few. You cannot afford to miss out! The WTM Africa Event Programme! The WTM Africa 2015 Event Programme, has an exciting line up of pertinent and topical conference and seminar sessions, brought together by key industry figures, the diverse programme will offer the best insight into the industry and focus on the exciting future prospects for this emerging region. iambassador and Traveldudes will host two sessions at WTM Africa this year, outlining how international travel bloggers are changing the media landscape and the second session will be a panel discussion about collaborating with bloggers, this session would include perspectives from both the blogger and industry sides, and will focus on best practices. Download The WTM Africa 2015 App! Step 1: Go to your app store i.e. Google Play, iStore etc. The WTM Africa app is an info, news, pre-event up-dates, onsite features, event programme, floor plan ,social networking tool and much more in your pocket! The Official WTM Africa 2015 Preview Guide. The official WTM Africa Preview Guide is now live! For exclusive insight into the leading B2B inbound and outbound show on the African continent, and to help you make the most out of your visit, click on the link provided. 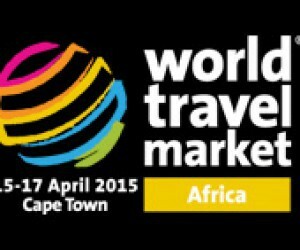 Travel Massive @ WTM Africa 2015! On Tuesday 14 April 2015, Travel Massive Cape Town will celebrate their first Birthday with a return to Once in Cape Town (http://onceincapetown.co.za/)for a gathering of local tourism members, now loyal to our regular meet-ups. Travel Massive (www.travelmassive.com) is the worlds largest travel community and connects thousands of travel insiders to meet, learn and collaborate at events in over 80 cities around the the world. With WTM Africa ( http://www.wtmafrica.com/) being held in Cape Town from 15 to 17 April, we are proud to announce a partnership with them which will make our event an official WTM Africa networking event on the 14th April. The venue is found at 73 Kloof St and the Once in Cape Town rooftop deck will be transformed into a mini wine festival with wine sponsored by Themika of Tulbagh http://www.themika.com, Arendsig www.arendsig.co.za of the Robertson Valley, Marianne http://mariannewines.com/ of Stellenbosch and www.nextgen.travel set to be a fabulous occasion.